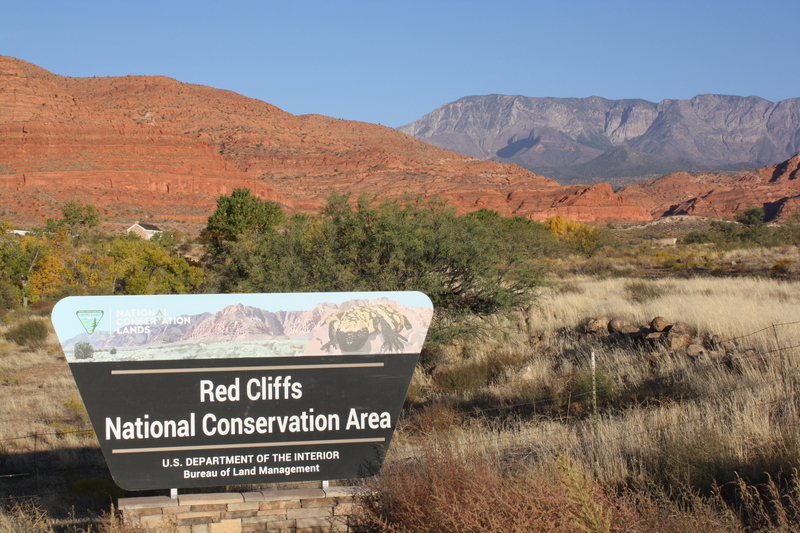 ST. GEORGE – Legislation that would designate a route for a long-sought and controversial road through the Red Cliffs National Conservation Area advanced out of the House Committee on Natural Resources Tuesday. U.S. Rep. Chris Stewart last month introduced “The Desert Tortoise Habitat Conservation Plan Expansion Act,” which would establish a right-of-way for the so-called northern corridor through the conservation area, which is also a protected habitat for the threatened Mohave desert tortoise. To offset the impact of the road, the act would add over 6,800 acres to the 62,000-acre desert tortoise reserve. The estimated area impacted by the road within the habitat is 147 acres. “If I could invest $147 and get more than $6,000 back, I would certainly do that,” Stewart said. The northern corridor, which will connect to an extension of Washington Parkway in Washington City on its east end and to Red Hills Parkway in St. George on its west end, is slated to be a 300-foot wide, four-lane roadway that will run for 4.3 miles. Stewart said the proposed alignment of the road, which is meant to provide as much mitigation to tortoise habitat as possible, is a “compromise solution” among state and federal biologists working with Washington County, the Bureau of Land Management, the U.S. Fish and Wildlife Service, the Utah Division of Wildlife Resources and other stakeholders. Because the road would cut through the tortoise reserve, federal wildlife and lands officials have been reluctant to approve it and have rejected routes proposed by county road planners in the past. Stewart’s bill would finally push it through. The northern corridor is considered a “vital” piece of the county’s future transportation infrastructure as the area continues to grow, according to Stewart and local officials. The Washington County Habitat Conservation Plan, or HCP, and its advisory council govern the desert tortoise habitat. Washington County Commissioner Dean Cox, who testified at the committee hearing, said the county’s HCP has been considered a model emulated by the U.S. Fish and Wildlife Service. “We aren’t new at species recovery, and frankly, we’re darned good at it,” he said. 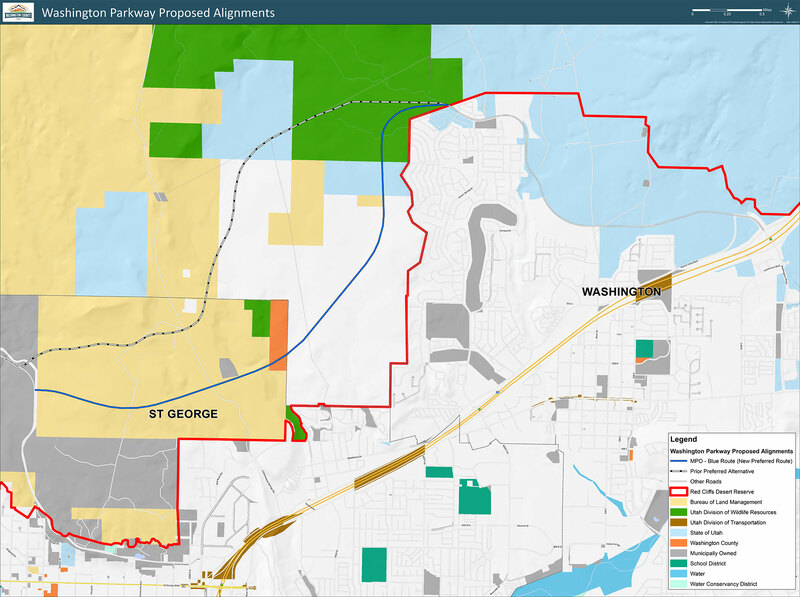 Both Cox and Stewart referred to the proposed 6,800-acre addition to the tortoise habitat – tentatively called “Zone 6” – as high-quality habitat. Recent surveys showed a large and thriving population of the tortoises in the area, which is also heavily used by hikers, bicyclists, climbers and other outdoor enthusiasts. Stewart’s bill would provide protections for continued recreational use of the area. It would also renew the HCP for another 25 years. 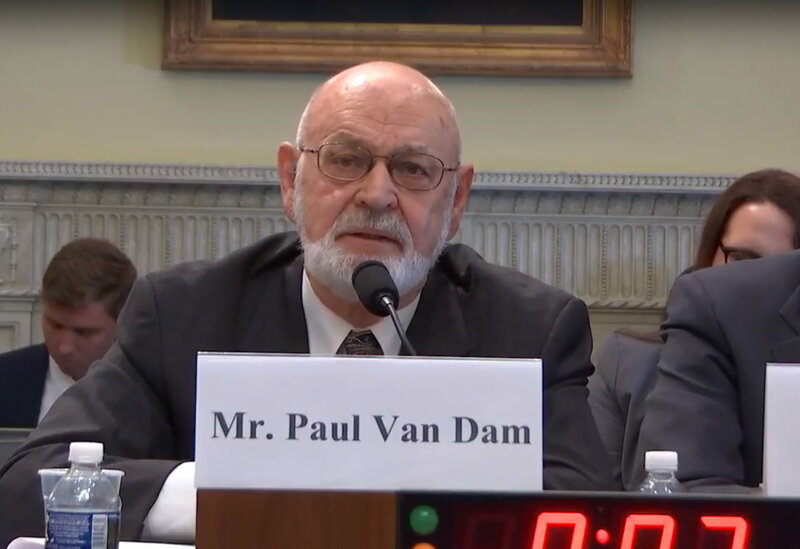 Testifying against the proposed bill was Paul Van Dam, a board member of Conserve Southwest Utah and a former Utah Attorney General. He also said the habitat in Zone 6 is not as good as the habitat in the part of the tortoise reserve the northern corridor’s route would be disrupting and that damage to one piece of protected habitat can not be balanced by another piece of protected habitat. And while the population of the tortoise may be high within the reserve compared to other areas, it has nonetheless dwindled by over 40 percent in recent years, Van Dam said. Extreme drought and large fires in 2002 and 2005 decimated the tortoise population. While there has been some recovery, the population densities haven’t been the same, and taking away some their habitat for a road certainly isn’t going to help the matter, Van Dam and others have said. Van Dam also argued that the northern corridor wasn’t the only option county planners had, yet they were choosing to ignore the others. 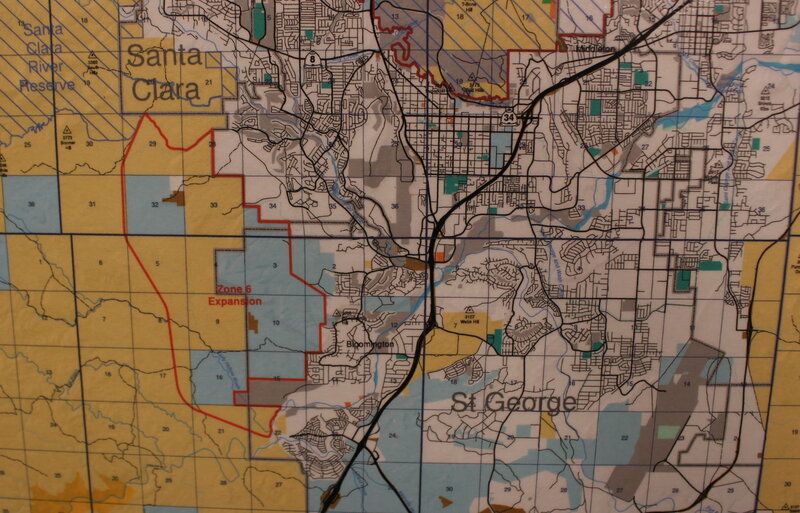 Conserve Southwest Utah is also concerned that the county hasn’t sought assessments from an independent, third party on its road plans and possible alternatives. Overall, Van Dam argued that Stewart’s bill circumvents the Endangered Species Act and usurps U.S. Fish and Wildlife Service responsibilities in overseeing the conservation area. Other groups opposed to Stewart’s bill and the northern corridor in general are the Southern Utah Wilderness Alliances, the Center for Biological Diversity and the Desert Tortoise Council. “The Council believes that construction of this new highway would create new impacts and threats that cannot be mitigated by enlarging the existing Reserve,” Desert Tortoise Council chairman Edward LeRue wrote in a letter to Rep. Rob Bishop, R-Utah, chairman of the House Natural Resources Committee. The road’s impact on the area will not be small, LeRue wrote, claiming it will draw additional predators who are attracted to roadkill, and that there will indirect impacts and degradation to habitat up to 2½ miles from the roadside. “The construction of this new highway through the dedicated Reserve will have the adverse effects given above to a population of tortoises that has already undergone a 41 (percent) decline in numbers,” LeRue wrote. While Stewart’s bill passed out of committee, it has yet to be voted upon in Congress. Bye bye tortoises. Looks like you’ll be going the way of the dinosaurs thanks in part to mr. stewart and his greedy developer cronies. You little reptile friends have been sold out by the local LDS greed crew–profits above all else $$$$$$$$$.